Yeah, I said I’m having a month off but I’ve got a proposition for you. A website are doing a scheme where you earn points by uploading pictures of clothes and accessories you’ve bought! You can earn £50 vouchers for Asos and Newlook and even FREE mac lipsticks! Just comment your email or email me at bookreviewss@hotmail.com you’ll get a email what to do next! Unfortunately I’m finding it really difficult to keep up with my blogs, and fit in revision for my A-Level exams. My exams are understandably more important in moulding my career, so they are my first priority. My blog is definitely not over and I will be back when my exams are over! MY INSTAGRAM WILL IMPROVE TOO! So please make sure you look out for me coming back! I read the book in 2 days, and absolutely loved it! I only bought it because I wanted to watch the film. The DUFF was so gripping and written in such a brilliant way, that I couldn’t put it down. You really get involved with the characters, and they always give you such a laugh! Unfortunately the film did no wonders for me. I expected the book to movie interpretation to be alot more accurate, but they’re nothing alike. I could only pick differences: *spoilers sections* (skip to normal). Bianca’s Dad isn’t around, and the part in the book where they have an argument, makes it alot more emotional. Wesley in the book, is rich and lives in a mansion- in the film Bianca and Wesley live nextdoor to each other and they’ve known each other since childhood. Sadly I think the idea of Bianca and Wesley living next to each other ruins the concepts of the book. I also wish that the Dad part from the book was included, because it forms a major part in the book. On the bright side, I did love the ending of the film, in comparison to the book. It was alot more heart warming and exciting. I’d give the book 4.5 Gold stars. Hey! Today I’m trying a If you like this, then you’ll like this blog. These were my favourite reads of the month! (March). If you liked Ivy smoak The hunted. You’ll like ‘losing it’ by Cora Carmack . Losing it, I haven’t managed to review yet, on the basis it’s equally similar to The Hunted. The beginning is alot more exciting and the whole arrangement of the proffessor, and lover mixes really well. Because the protagonist in the book is a virgin, which is given away in the cover; She comes up with stupid excuses to why she chickened out on something when they met in a night club, I don’t want to give too much away so you’ll have to read it to see! But there’s also a triadic romance in both of them, which is really exciting. I gave both short stories 5 stars! And highly recommend them! No, I dont. Usually I don’t read in the car anyway- it hurts my eyes. It was sharon jones and veronica roth. Now it’s Ivy Smoak. Her writing just captivates me and I connect so much to the writing! 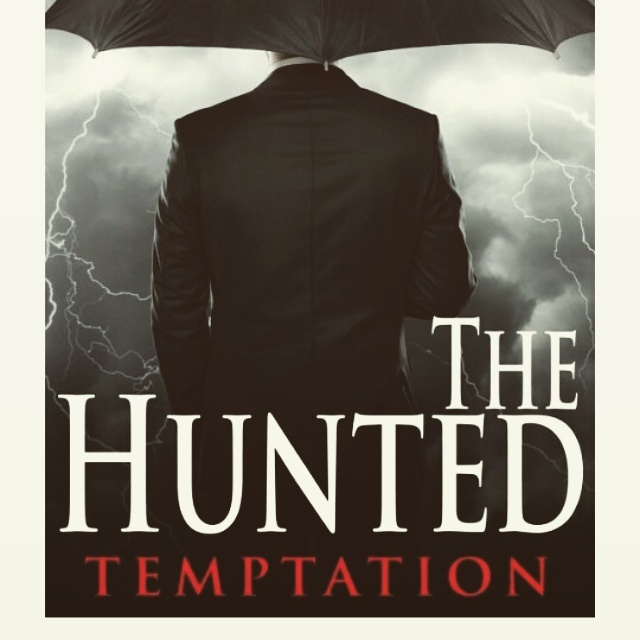 I’ve also done a review on her story “The Hunted: Temptation“, also I’ve interviewed Ivy Smoak. Embarrassingly I haven’t read any of them, but basing it on the films,I’d have to say Twilight. 3. I LOVE VAMPS AND WEARWOLVES. 4.Do you carry a book bag? I try not to carry books in bags, I can’t stand to see the slightest scuff of bend in the cover!. Hell yes! What reader doesn’t? It’s all part of the reading experience. My Mum and Dad think I’m crazy but oh well. I prefer no illustrations, mainly beacuse I like to creat my own world, not what someone else has created. When I was young “Geralds Game” was brilliant to me, but I started to finish it last month, and wow it was a disaster, as you will see from my review. I don’t have any funny stories with books. I’m pretty boring haha. As my regular blog readers will know, I announced I was starting to write a novel, but haven’t started yet due to college. No I dont write right now, but I will be when exam season is over. I definitely see myself as a future author. Reading is my passion! I always had my Mum reading to me, “mum please just one more”, it used to drive her mad!but evidently it was worth it, my book piles just keep getting bigger. Luckly she doesn’t have to read me anymore! My favourite classic is Flowers In The attic, it’s such a beautiful story, that’s been in my life for many years. It’s known to me as just English, but no I hated it, because I hardly read at school. If we did, the books were terrible. 😦 I did get an A and a B in my GCSE language and literature whoop! I’d simply say,I’m sorry but I own this already or just say I’ve read it, and wouldn’t read it again. I don’t film anything, so nothing. You wouldn’t expect it if you saw me, but definitely all of them! Obviously vampires! I love them. I’m weird I even daydream about becoming one, and going round biting people. Dont judge me please!!! Besides I’m down for the thrill and ever lasting life, it’s just so dangerous. Shapeshifters, again it’s just so dangerous and unusual! NO NO NO! DONT MAKE ME CHOSE. As I’ve said I LOVE vamps, but Zombies are great. And again I wish we were in a zombie apocalypse so I could run round with a samurai sword! (Walking dead inspired) (no pun intended). Love triangles for the thrill, never forbidden love, it always ends badly. Let’s go all out, Full on romance. I’m in a romance mood recently! I nominate everyone to take part! Have fun with it.